Home GuidesInternet-guides What Kind of Website Does Your Business Need? If you don’t have an online presence, you won’t be seen or considered. Competitors who are online will have the advantage and closing deals while your business will not even be in the running. Another number commonly bandied about is the Three Myths of the “67 Percent” Statistic. While there is debate over when the sales department gets involved, there is no debate regarding whether a business needs to be online. You must. We’ll take each of these in turn, and by the end of this post you’ll have a clearer idea what you need for your business. Some would argue that every business should have a blog. While there are clear benefits to having a business blog, blogs require more maintenance and content creation than many business owners wish to handle. How much maintenance depends upon the type of blog you use. The maintenance will be done for you if you use Google’s Blogger aka Blogspot or WordPress.com but the downside is that you are severely limited in what you can do with your site and you don’t control it. Both platforms have been known to delete sites without warning. If you are serious about blogging, the best choice is self-installed WordPress. Unless you are highly technical and want to invest time in staying on top of security, learn coding, etc., ask around and hire someone to manage it for you. Choose wisely and your technical partner will do a far better job than you could do yourself. Unless you are willing to update your content regularly or pay to have it done, you could be better off contributing to one or more existing blogs. This will eliminate the need for you to generate your own traffic and allow you to reach your target audience where they are already active. Even if you forgo having your own blog, you must have a site where you can build a list. The minimum you must have is a static site – called that because the content rarely changes. In the early days of the Internet sites were far more complicated to create and update so they often created and never changed. Even if you used software like FrontPage or Dreamweaver, uploading the changes could be complicated. Today there are many website builders such as the aptly named Website-Builder. These sites offer free templates to create colorful layouts instantly. Users can then upload their own images and add text. Using a website builder makes changing your design or text simple – so that sites that once rarely changed can now be regularly updated. The primary benefit of blogging is that regularly adding content can bring incoming traffic. By using a website builder you can easily update your site. If you share it on social networks, this could bring part of the benefit of blogging with less work. Website builders typically allow users to build a site for free, and then when they are ready to go online they pay to register their choice of domain and for hosting. If you want to sell products you need an eCommerce site. If your needs are small, you could use a WordPress blog with an ecommerce plugin. Sites selling many products typically use an eCommerce platform built specifically for selling such as BigCommerce, Volusion, Yahoo Stores, Magento or SureDone. Volusion and Yahoo Stores (along with ProStores which is shutting down) were the primary solutions for ecommerce stores from very small to quite large. BigCommerce came along later and the top choice for straight ecommerce stores among my clients who have used them all. For ecommerce sellers who also sell on Amazon, eBay or Etsy, SureDone is a better choice because you can manage your inventory from one dashboard. SureDone is growing quickly, thanks to their ability to pull in your existing inventory and create a store for you with only 5 minutes of your time required. It integrates natively with Fulfillment by Amazon (FBA). BigCommerce can integrate, but only with the additional use of a third party solution rather than natively. Magento has always been more complex and powerful. They recently eliminated their two smaller options in favor of focusing on their Enterprise versions. (Enterprise = very large Corporate sites). Unless you have a developer and need complex features you would not use Magento. Many custom sites can be created using blogging platforms or website builders. 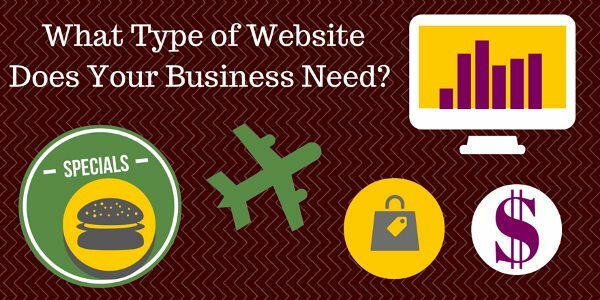 There are still times you need a website designer or developer. For example, if what you sell requires many specifications standard platforms can’t handle, you will need a custom site. You may be able to buy what you need already created and have it customized for you. More advanced or new ideas will require hiring someone to build your site from scratch. Web design and development are not the same. A designer creates the look of the site on top of the platform a developer codes. Many developers do minimal design (color, font choice, layout), but few have advanced design skills. DirJournal offers Web Design and Development listings here.